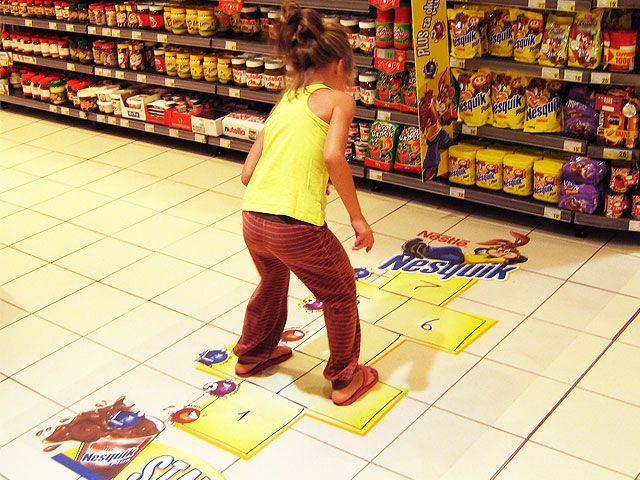 Grocery Stores – What Next? 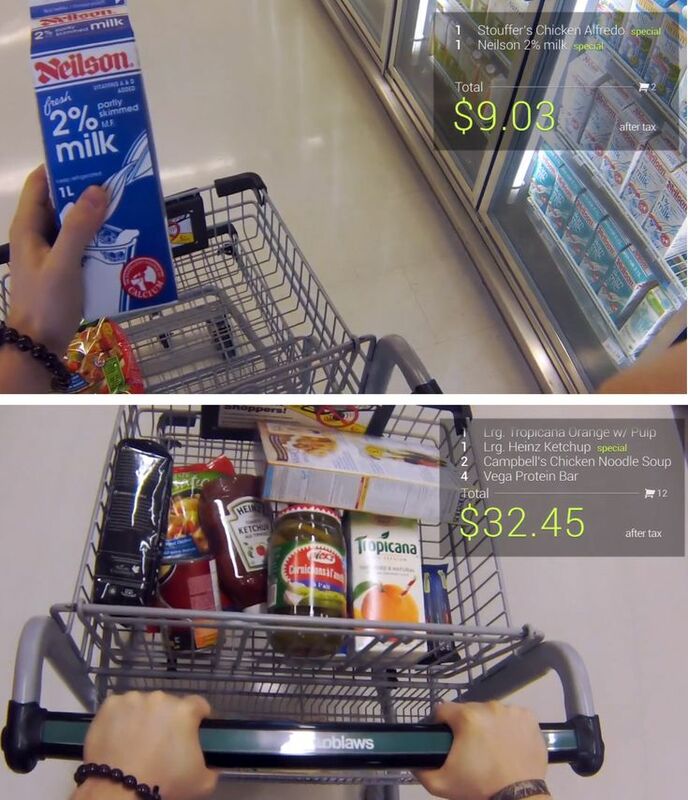 Going thru grocery store pictures recently and it is amazing some of the new technology that is being used. Here are a just of couple of cool stuff being done. Tesco Homeplus Subway Virtual Store: a large, wall-length billboard was installed in the station, designed to look like a series of supermarket shelves and displaying images and prices of a range of common products. each sign also includes a QR code. 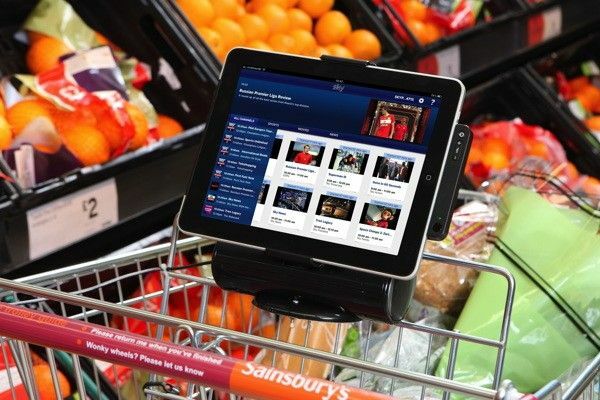 users scan the code of any product they would like to purchase, thereby adding it to their online shopping cart. after the web transaction is completed, the products are delivered to the user’s home within the day. Here are some cool everyday ways you could use Google Glass in the future. 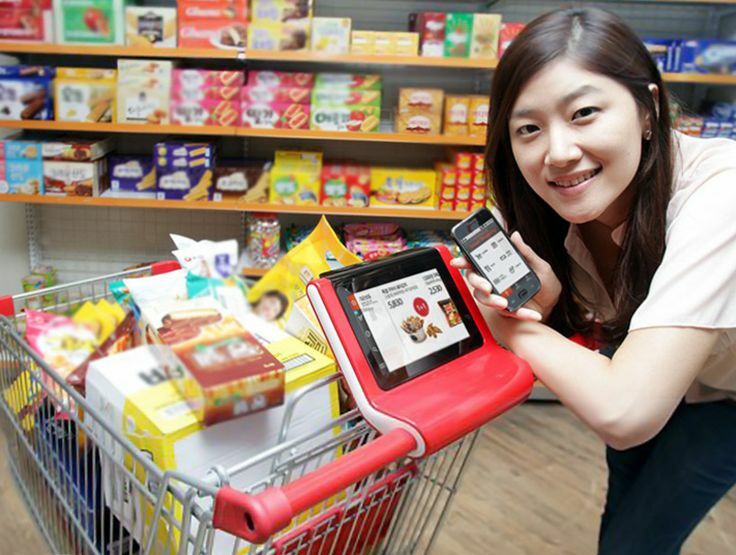 smart shopping cart by SK telecom – pilot testing of a ‘smart cart’ program in china’s shanghai lotus supermarket with a shopping art service that integrates with smartphones to provide store and product information tailored to user’s needs. 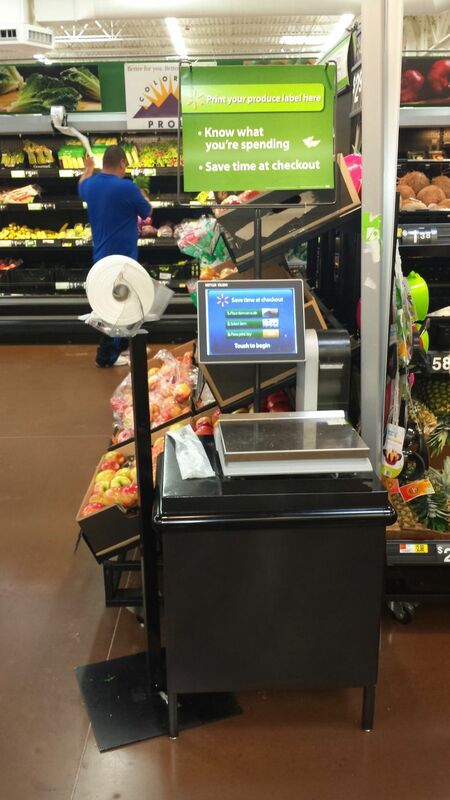 Wal-mart produce section self-tag with Mettler. Mettler also “owns” the deli. Competing vendor (sort of competing) is NCR. These are relatively expensive systems.